Special Leather pouch edition Signal comes with a traditional leather pouch. 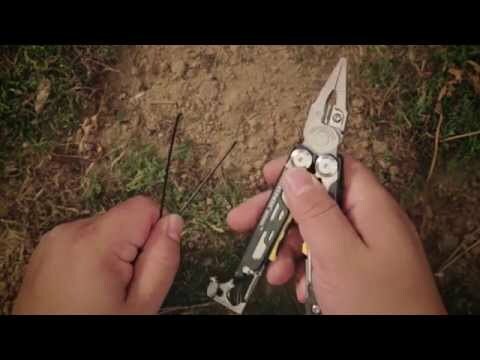 Make the Outdoors easy with the Leatherman Signal. You'll find all the traditional multi-tool parts here such as pliers, a saw and a variety of hex and bit drivers, coupled with the Signal's unique survival features including the fire-starting ferro rod, emergency whistle and diamond coated sharpener for maintaining your straight and serrated blades. Stay ready for the expected (and unexpected) no matter where you are with everything you need to loose yourself in the outdoors right on your belt.